Sorry, you didn’t much care for this one. 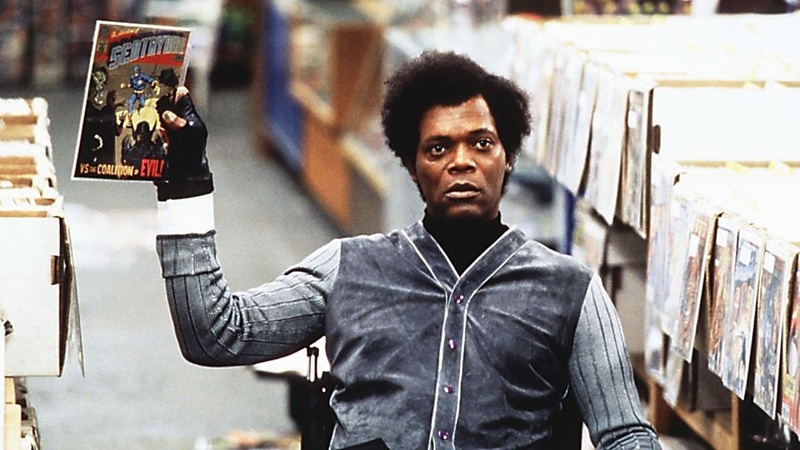 I’ll admit I do love Shyamalan’s first three films (Sixth Sense, this, and Signs), but by The Last Airbender, it was just embarrassing. I understand your complaints on a few logic points, although I liked the style and camerawork. I did want to point out something on the twist. Elijah didn’t cause the train crash with David in mind; he was just causing random disasters, like the fire, hoping that he would find someone who survived unscathed. Basically, he got lucky, but would have continued causing “accidents” if David hadn’t turned up. I don’t know if that makes it any more believable, though, and I do wonder why David didn’t “sense” Elijah’s villainy sooner. 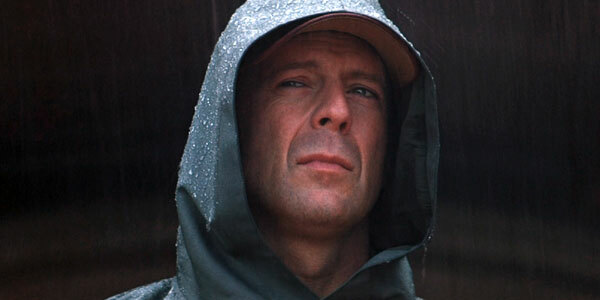 Oh, well, even Shyamalan’s good movies are better off not thought about too deeply. Nice review, even so. 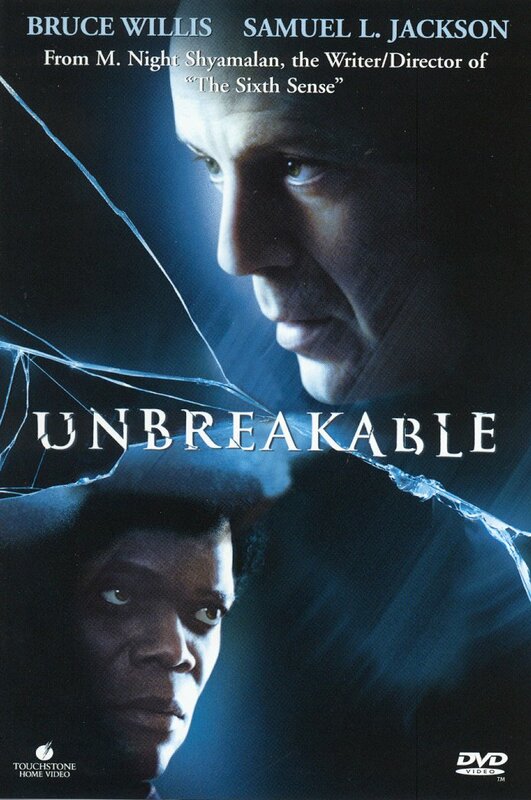 Of Shyamalan’s two well recieved movies, Unbreakable was a film I borderline loved on first viewing and considered a great movie about superheroes (but NOT a superhero-movie in the traditional sense), to me it was the best “what if superheroes existed in real life” kind of films to date. But on repeated viewings, my feelings on it got a little more tempered, and I could see the plot holes and strange characterization. Meanwhile, The Sixth Sense was a film I liked on first viewing but LOVED on second, third and fourth viewings because watching it having learned what the twist was I was more drawn in by it’s emotional undercurrent. My parents and I aren’t really Shyamalan fans (we weren’t really into Sixth Sense, I hated The Village, I only watch The Happening for guilty pleasure value and I feel like viewing it as the secret Hot Dog On A Stick ad it clearly is with it’s talk of hot dogs and lemon drinks) but the Glass trailers have had us slightly interested, so we are intending to check out this and Split but I don’t think we’re expecting masterpieces.